I like hot smoky sauces and this one ticks all the boxes, the smokiness is fantastic with subtle oregano and thyme flavours creating a lovely after taste. 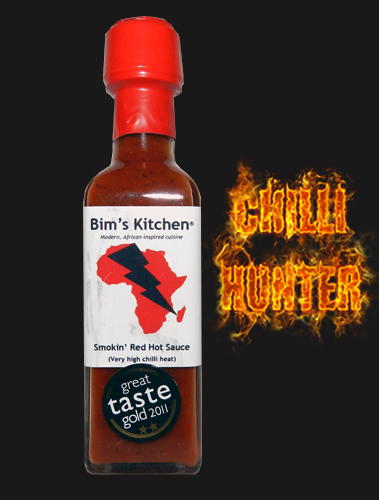 Its chilli content is nice and varied, smoked scotch bonnet, birds eye, cayenne and bhut jolokia combine to give a good punch. I can see why this won a great taste gold award in 2011, lovely stuff!